Azerbaijani President Ilham Aliyev has sent a letter of condolence to his Iranian counterpart Hassan Rouhani. “We were deeply saddened by the news of a terrorist attack that caused casualties and injuries in your country. 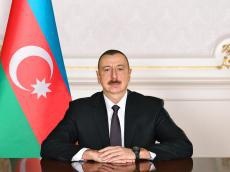 We feel deeply outraged over this horrible incident, condemn terrorism and deem it necessary to resolutely fight against it in all its forms and manifestations,” Ilham Aliyev said in his letter.